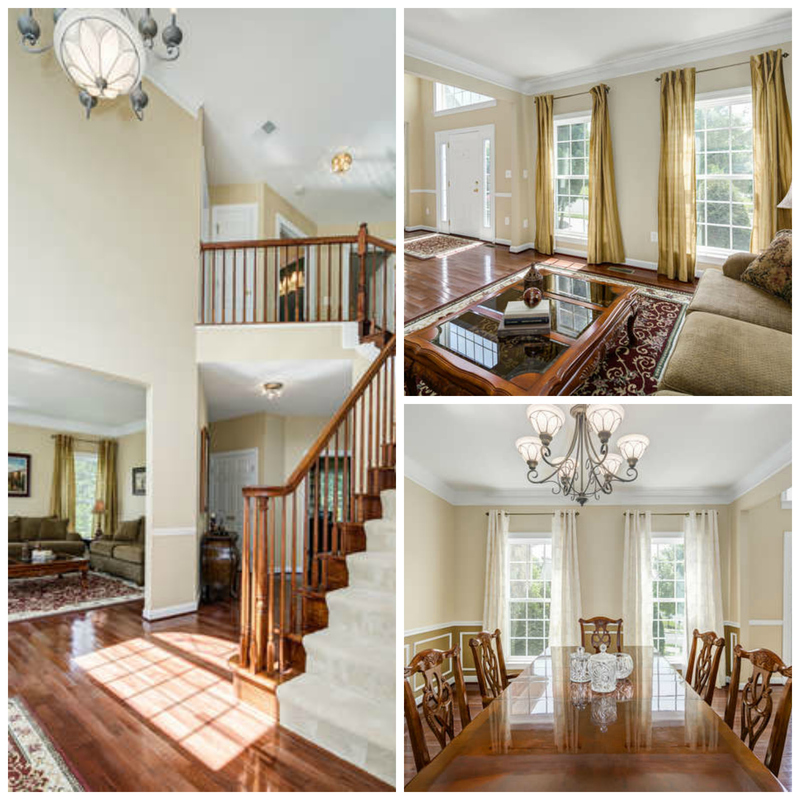 22587 Forest View Ct, Ashburn, VA 20148 sold for full asking price of $889,000! 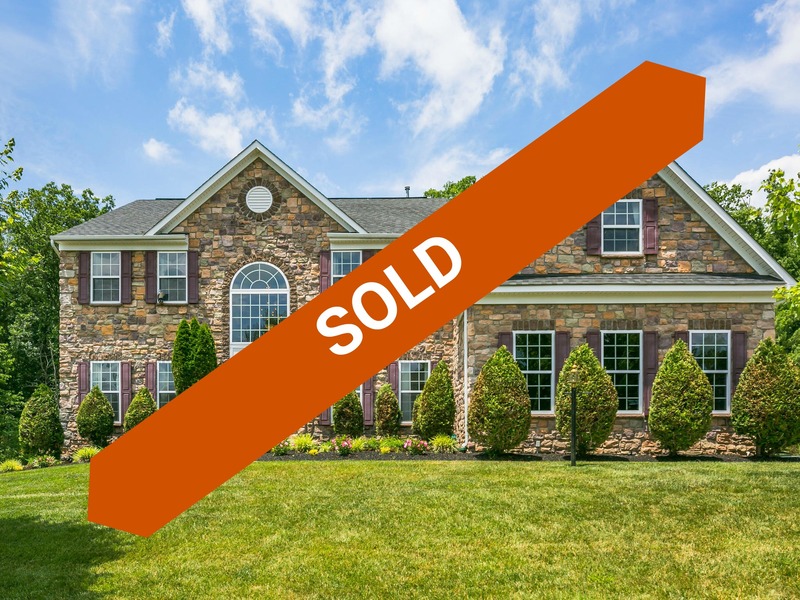 How much would your house sell for in today's market? 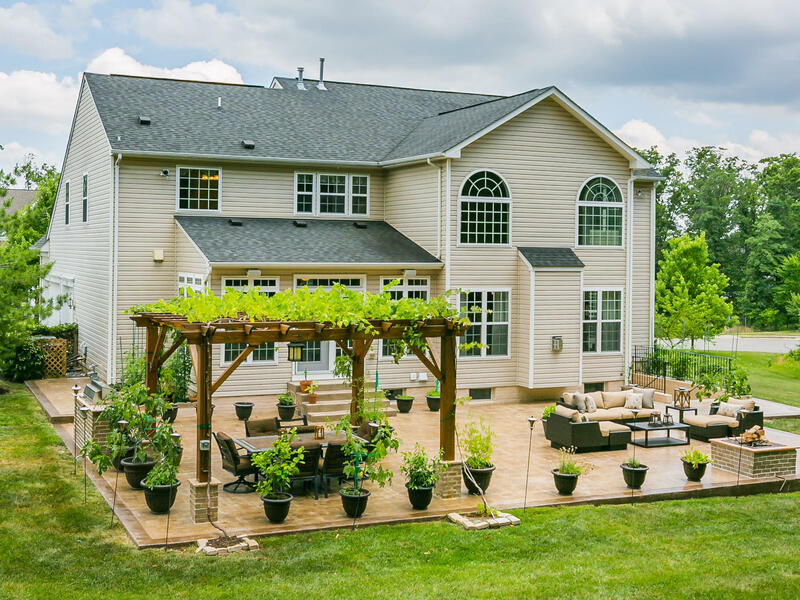 Few compare to this 3-level Colorado center hall Colonial in the Forest View neighborhood ideally located in the heart of Ashburn. From front to back, inside and out every detail has been addressed to outshine the rest. The main level starts with the grand 2 story foyer to welcome you home. Step into the formal living and dining rooms ideal for hosting any party. 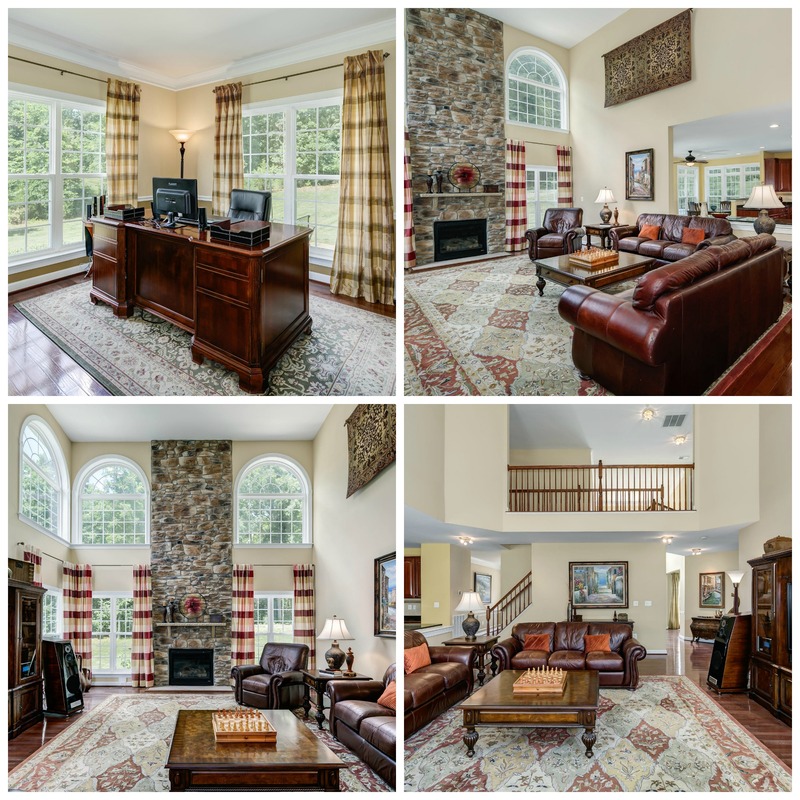 Don’t miss the private home office perfect for telecommuting! A 2 story great room with stone hearth and fireplace seamlessly flows into the gourmet kitchen and sun-lit morning room. Complete your tour by checking out the over-sized walk-in pantry, mud-room/laundry space. 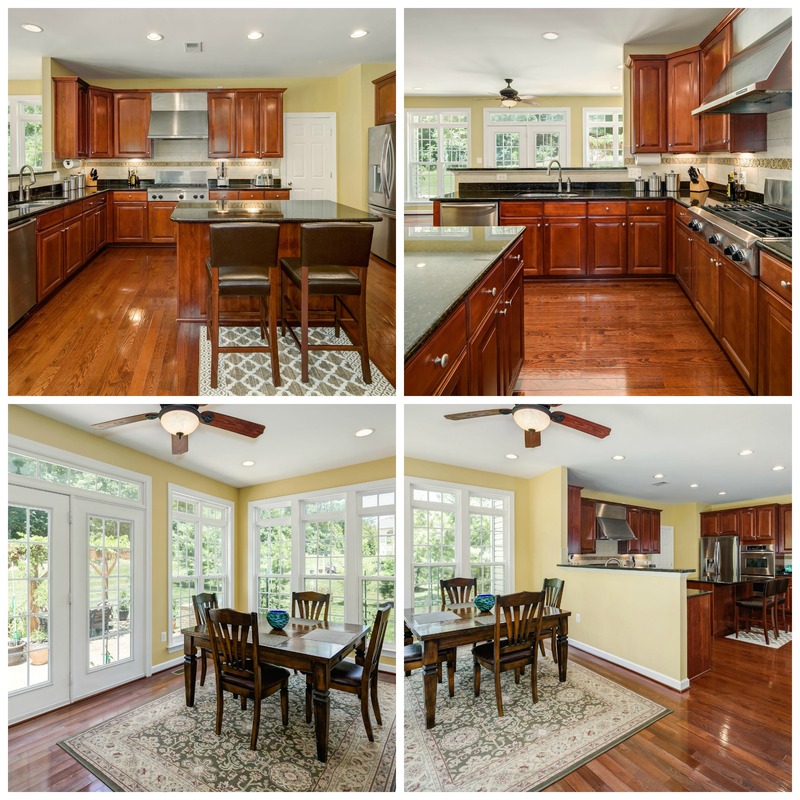 The hub or maybe heart of this most livable home can be found in the tastefully designed designer kitchen. Miles of Uba Tuba granite, 42” Eastland Maple cabinets, Travertine tile back splash, stainless appliances including 36” gas stove top, double convection ovens, commercial grade hood. 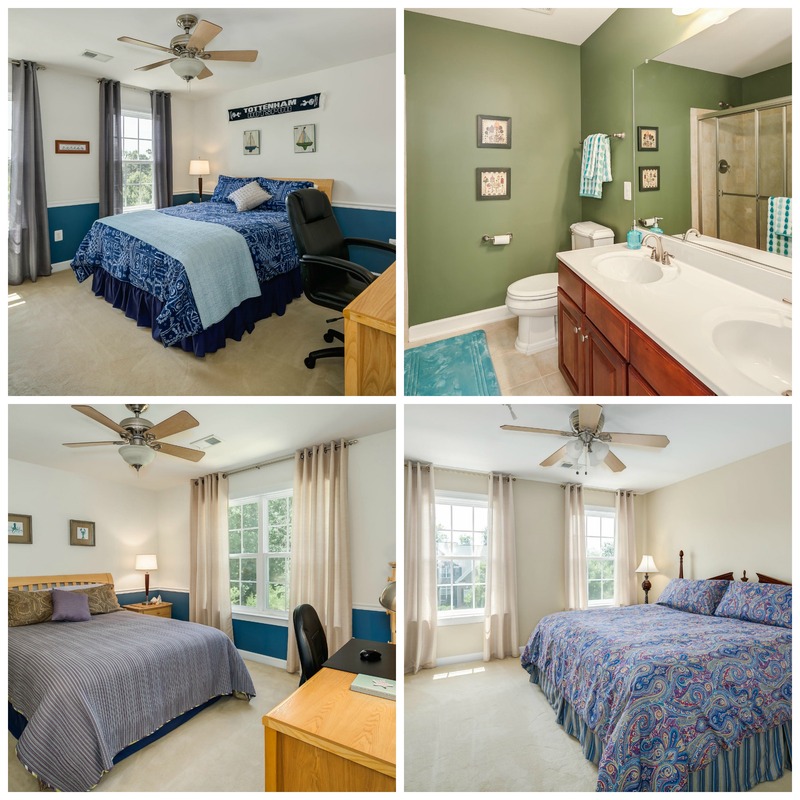 The upper level boasts 4 spacious bedrooms and 2 full baths including the owner‘s master suite. You’ll think you’re dreaming in this plush inner sanctum with cathedral ceiling including the private sitting room and generously proportioned master closet. The sumptuous master bath features a center soaking tub, separate roomy shower, water closet, separate vanities and upgrades galore in the tile work:13x13 Pietre Vecchie Champagne tile floor and the Travertine Listello are just to name 2. 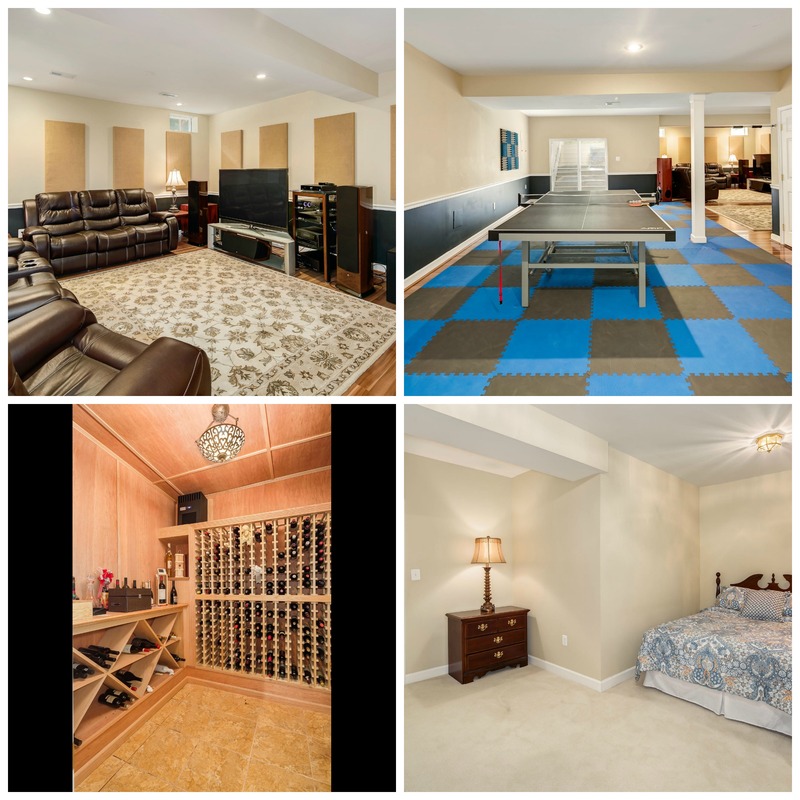 The open and airy fully finished walk-up basement offers media room space, gaming/recreation area, exercise room, 5th bedroom/ den, temperature controlled wine room or cellar, upgraded flooring, 3rd full bath plus additional storage. This home radiates roominess! 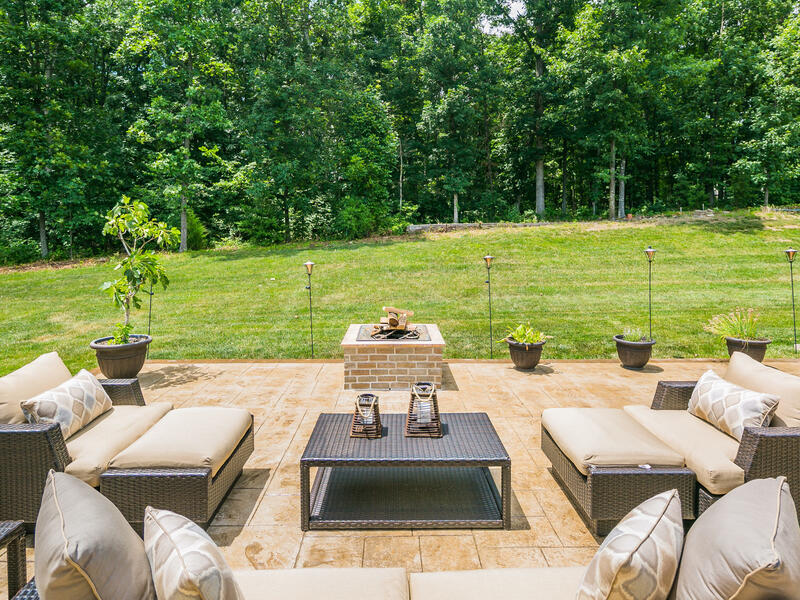 Feel all your worries disappear when you step outside to your new 1,800 sq. foot patio. 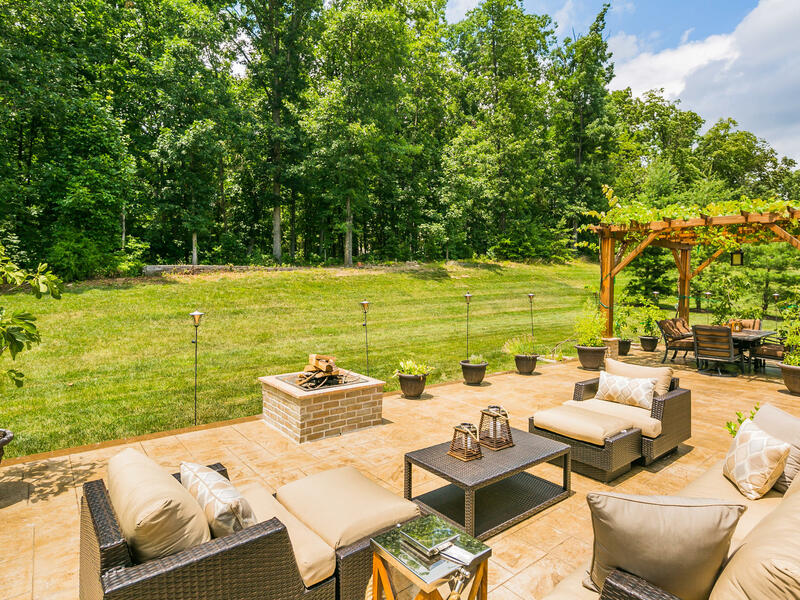 Your favorite space won’t even be inside when you are in the center of outdoor serenity on this 3/4 acre flat lot with an irrigation system and surrounded by trees. Have a little extra dash of style when you grill out on the built-in wood burning grill! 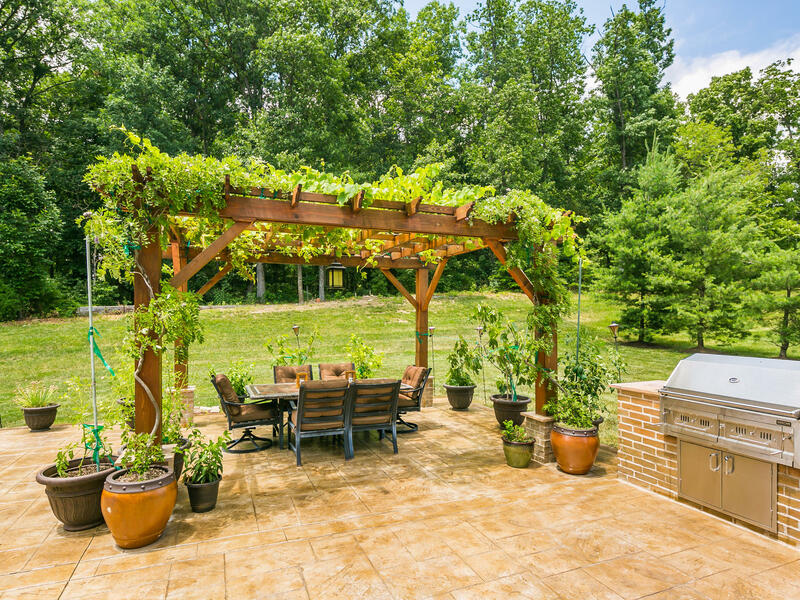 Dine out under the custom pergola and then enjoy chilly evenings around your wood burning fire pit. Downright therapeutic. Additional features include 10ft. 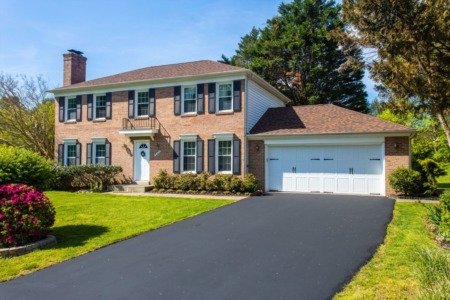 ceilings on the main and upper levels, 9ft ceilings in the lower level, 3 car side load garage, and upgraded electrical packages inside and out, Dundee plank cherry hardwood floors throughout the whole main level, neutral paint and upgraded lighting. The home is fully wired with Cat-5e for the best connectivity. Enjoy the daily convenience of being just minutes to Dulles Airport, the Dulles Greenway and Route 50! Approximately 1 mile from the future Ashburn Silver Line Metro Station. This neighborhood feeds to Briar Woods High School which is one of the top ten HS in Virginia and state winners in soccer and baseball. Around the corner from movies, shopping, restaurants, groceries, golfing and so much more.